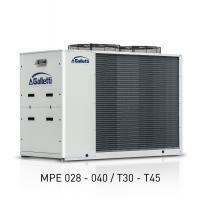 Galletti MPE Outdoor Packaged Air to Water Chillers & Heat Pumps. 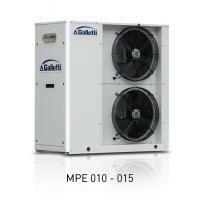 MPE water chillers and heat pumps are designed for outdoor installation in both residential and industrial applications. The range uses R410A refrigerant, which assures high levels of performance with relatively low energy consumption and features 25 models in the chiller and heat pump version, with cooling capacities ranging from 4 to 76 kW and heating capacities from 5 to 85 kW. The finned block heat exchangers have been optimised for R410A and use 8 mm copper pipes, which permit a better heat exchange and quiet operation of the fans. 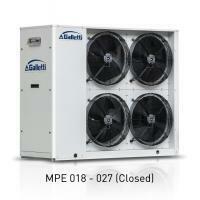 Their generous sizing guarantees the production of chilled water even with outdoor air temperatures as high as 51°C. 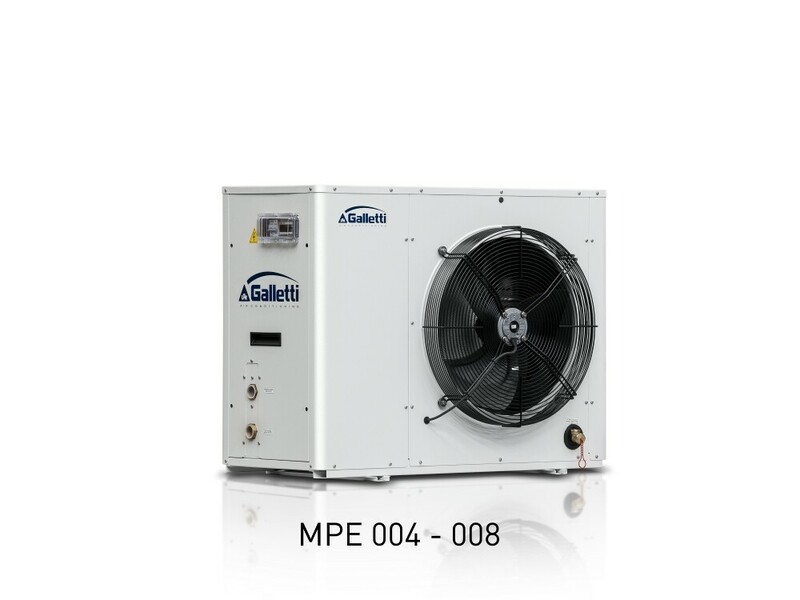 In the MPET models, with a double compressor on the same cooling circuit, the working temperature range is extended further and efficiency at partial loads increases. In demanding working conditions the microprocessor controller activates the capacity control mode, doubling the condensing surface available to the single compressor. 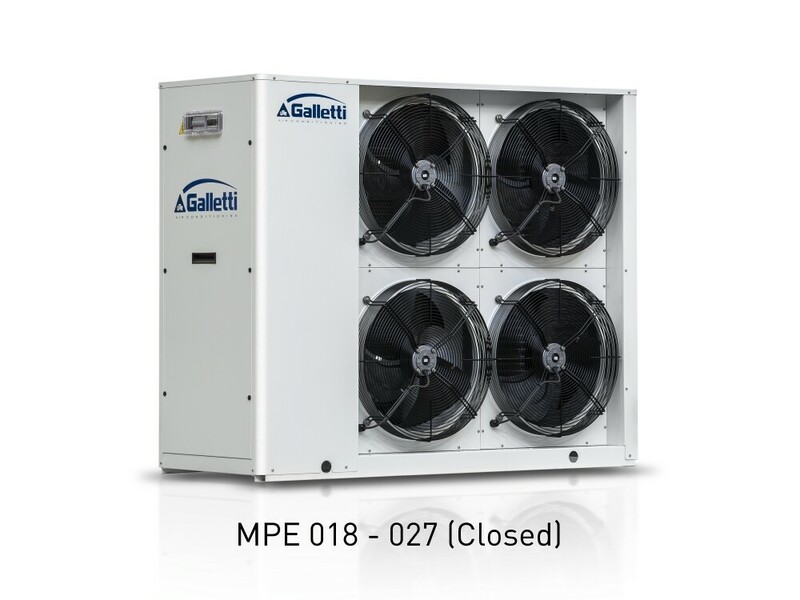 The self-adaptive logic allows the setpoint to be adjusted automatically according to the outdoor temperature in order to reduce consumption and broaden the working temperature range. The unit can also function in systems with a low water content, even without the use of a water buffer tank, thanks to the automatic adjustment which limits the number of compressor starts and thus extends the life of the compressors themselves. 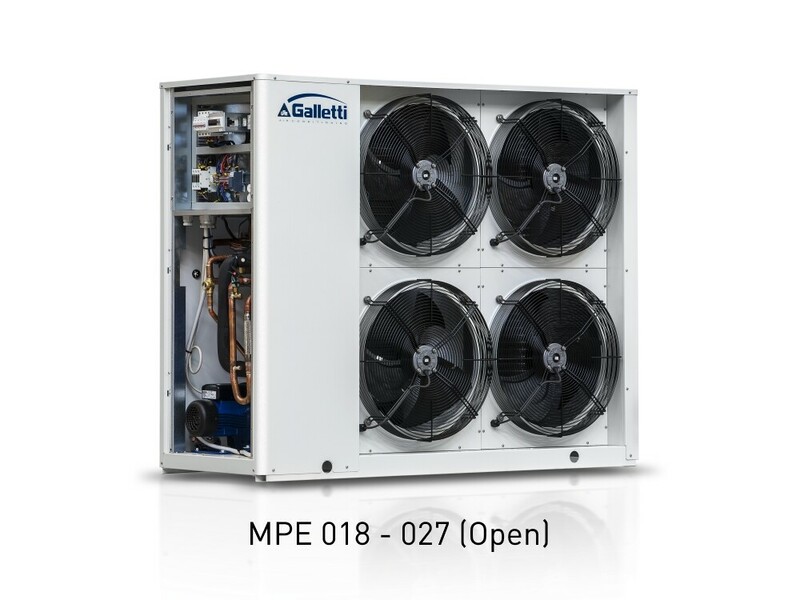 The exclusive Smart Defrost System (optional feature available with the advanced controller) can correctly identify an impairment of performance in the outdoor exchanger due to the formation of ice and minimise the process time in relation to normal operation of the unit. 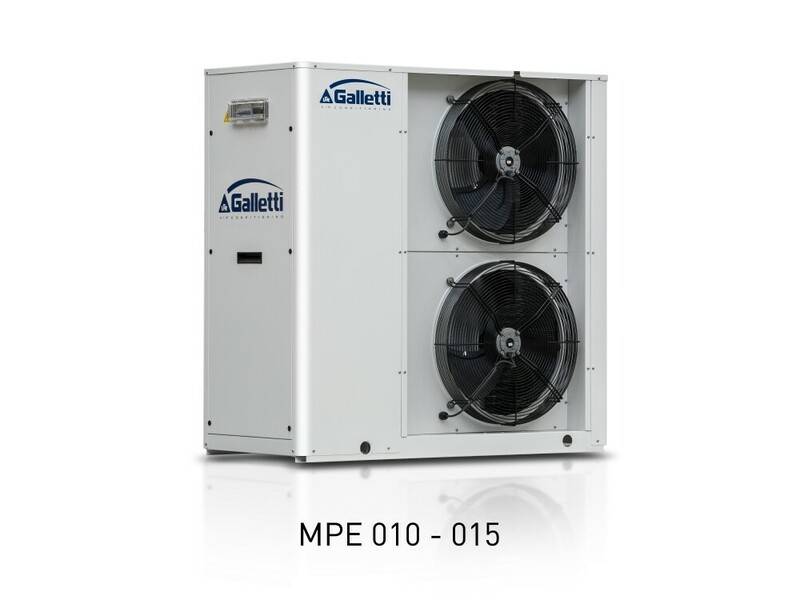 MPE heat pumps and water chillers are designed for heating or cooling the water to be used in air-conditioning systems for residential or commercial use. Painted galvanised sheet steel structure (RAL9002) for an attractive look and effective resistance to corrosive agents. Fastening devices are made of non-oxidizable carbon steel that has undergone surface-passivating treatments. 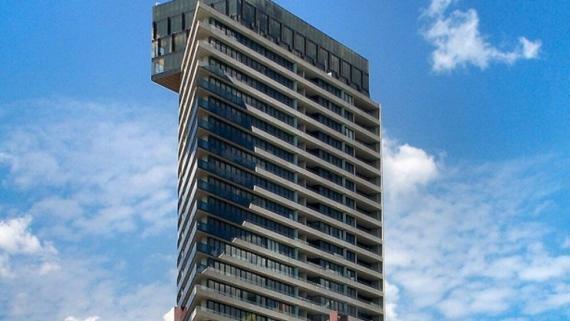 The structure can accommodate hydronic kits with pump, expansion tank, and buffer tank. High head pump made entirely of stainless steel, already configured for use with mixtures of water and ethylene glycol up to 35% and provided with internal thermal protection. Electric fan with external rotor motor directly keyed to the axial fan, with internal thermal protection on the windings. Made of 8mm diameter copper pipes and aluminium fins. 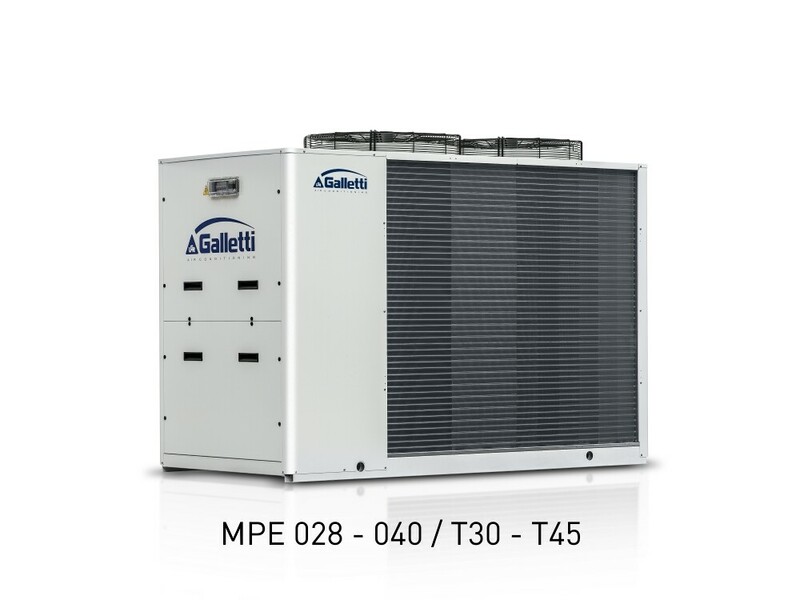 The heat exchangers’ particular design makes it possible to speed up to the maximum the defrost phases in the versions with heat pump with obvious benefits to seasonal efficiency while operating in heating mode. 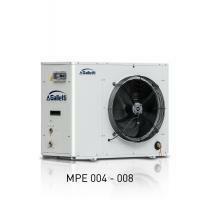 The electronic controller enables the complete control of the MPE unit. It can be easily accessed through a polycarbonate flap with IP65 protection rating. 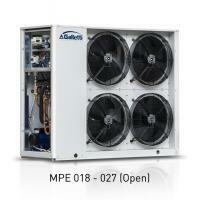 It implements the compressor regulation logic and allows the complete management of the unit’s other parts, the reversal of the cooling cycle, and the alarms.